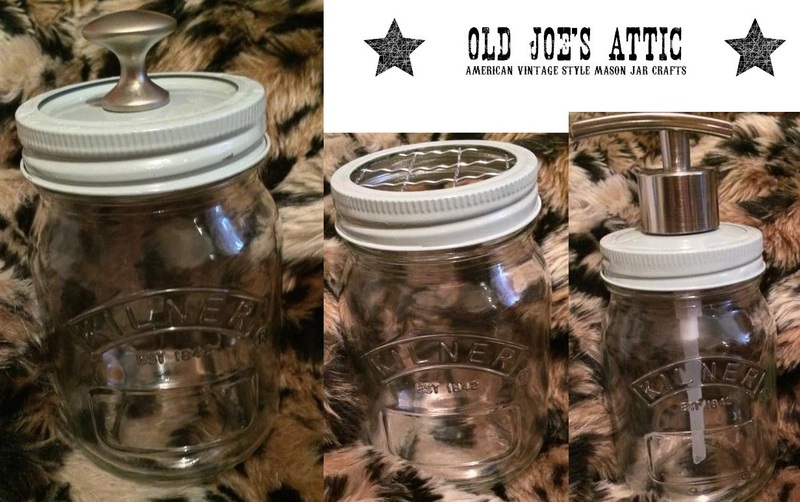 Old Joe's Attic is an absolutely beautiful Etsy shop which sells American vintage-style mason jars! They aren't just mason jars though, they are actually made into functional household items which I think is such a unique idea. I was totally gobsmacked when I received my package at just how gorgeous my jars are. Here's the photo from Old Joe's Etsy page. My photo really doesn't do them as much justice as this so I thought I'd post this one on here. It's pretty awesome how you can buy Kilner or Mason products as I have lots of Kilner jars in my house so I wanted to continue that theme! I chose the grey painted enamel lids as they go with my home perfectly, it's so vintage-esque and pretty. The grey bathroom set comes with a storage jar which can be used to store cotton buds or anything that you like really! It also comes with a toothbrush holder which has a little grid on it so they stay in place. You also get a soap dispenser with it which is really sturdy and high quality. The soap dispenser is available to buy on its own as well so if you just want one for your kitchen or something then you can go ahead and buy it on its own. 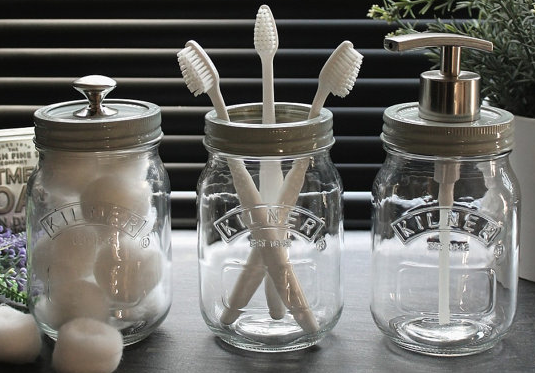 I am thoroughly pleased with my Kilner jar bathroom set. My jars are of superb quality and I think its fab that there was a little guide included on how to care for them. All aspects of the service were perfect, I cannot fault the seller or the product whatsoever. These would look perfect in any home and they're super hard wearing so they will last forever! Definitely check out Old Joe's Attic if you love vintage style homeware which is also sleek and hardwearing. These jars really are beautiful, I'd recommend them to everyone as they're available in a variety of different styles so there's something for everyone!